Nirvana Day commemorates the death of the historical Buddha, Siddhartha Gautama, under the Sala Tree at Kushinagar in India. It is said he died surrounded by his disciples, and many animals and celestial beings. At NYBC, we also observe this holiday as a memorial for our animal companions. 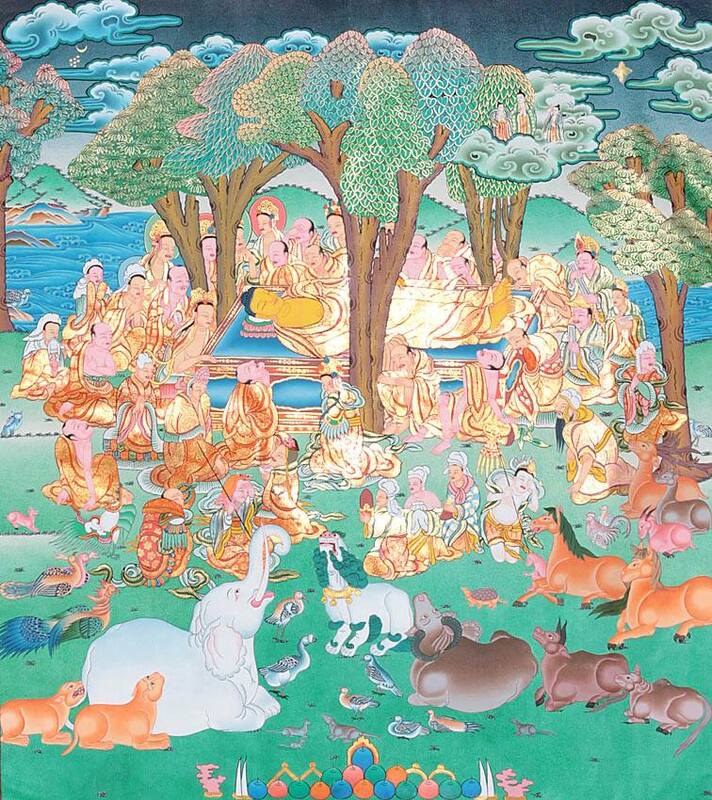 For Nehan-e / Nirvana Day service, we join together to express our gratitude for the life and teachings of the Buddha. All are welcome to join on this special occasion. Open to the Public! "Buddhism and Philosophy: Discovering the meaning of life"
Buddhism has many dimensions; it is a path of practice, a way of living, and a philosophy of life. As Buddhism becomes more prevalent in practice halls and popular media in America, it is important for us to consider how Buddhism as Philosophy can offer us a dynamic understanding of the meaning of life. 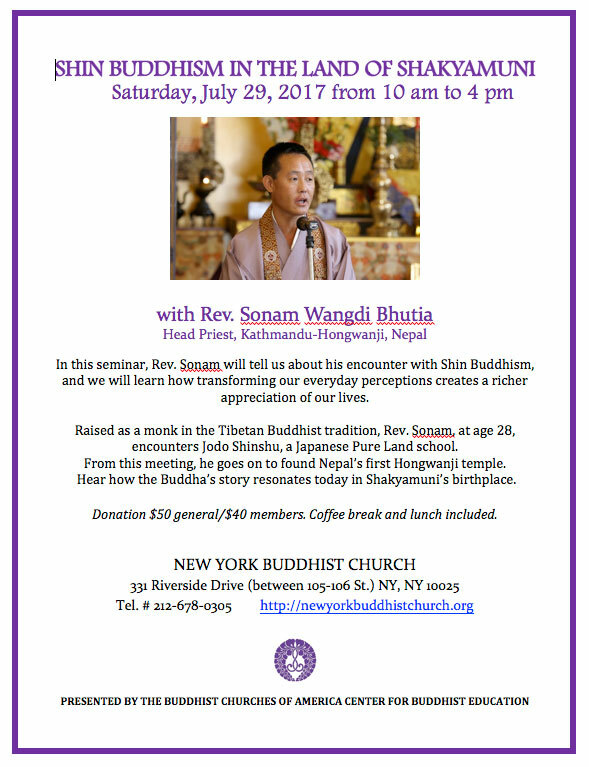 Please join us to explore the crossing points of Buddhism and Philosophy, and hear what they say about the meaning of life. and Dr. John Kaag, Professor, head of the Philosophy Department at University of Massachussetts, bestselling author American Philosophy, A Love Story. A donation of $10 from students and ABSC members and $20 for all others. A German phrase has been used recently to express the complicated situation of religiously inclined people today: “Great difference lies between believing still and believing again” (G. C. Lichtenburg). “Believing still” is sticking to religious beliefs and memberships that we were raised with, although sometimes this may seem by will or habit. “Believing again” suggests a return after meeting the challenges of our secular age. In Japan, young people find the Buddhist temples gloomy and unattractive, but buy popular books about Buddhism and other religious traditions. 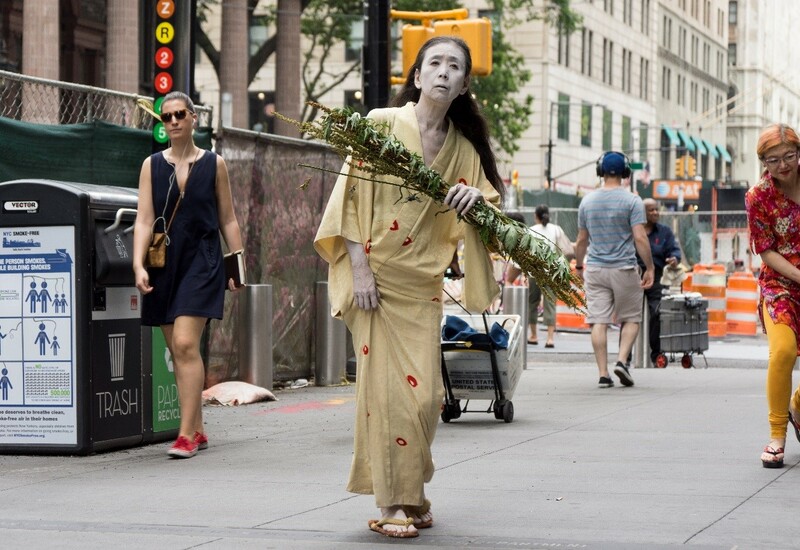 In the West, people distinguish between being religious and being spiritual. Shinran forged his own path leading from the traditional assumptions about Buddhist life that he had been trained in to a renewed engagement with the Pure Land Buddhist way. 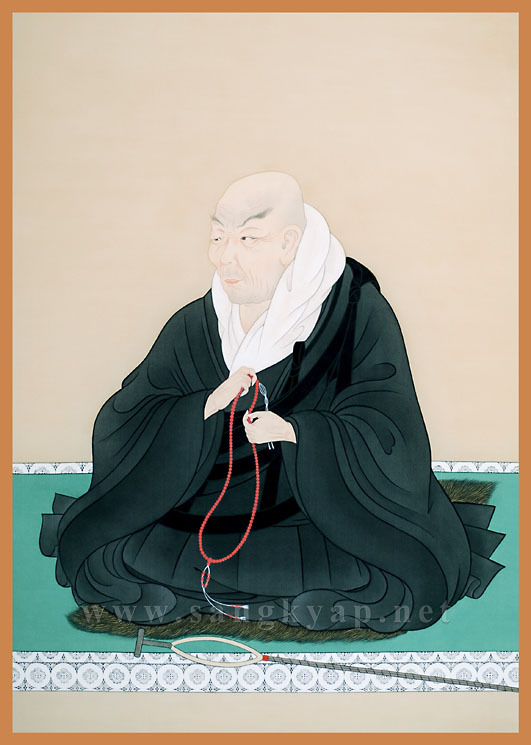 His thinking and example are meant to help us find our roots in the world again, so that, as he says: “My heart and mind are rooted in the Buddha-ground of Amida's universal Vow, and my thoughts and feelings flow within the dharma-ocean, which surpasses comprehension!” (Collected Works of Shinran, I: 291). and enjoy Martial Arts demonstrations from 10-2 and Japanese Dance performance from 2:30-3, Children's and Adult Taiko at 3 pm. Family-friendly event! Open to the Public, all are welcome! 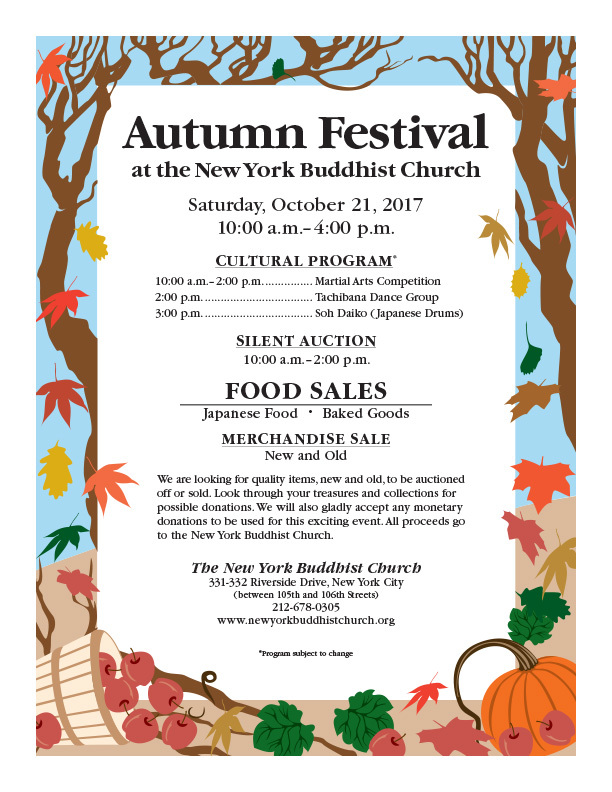 Join us for a sake tasting in support of the New York Buddhist Church at Sakagura at 211 East 43 Street, New York. 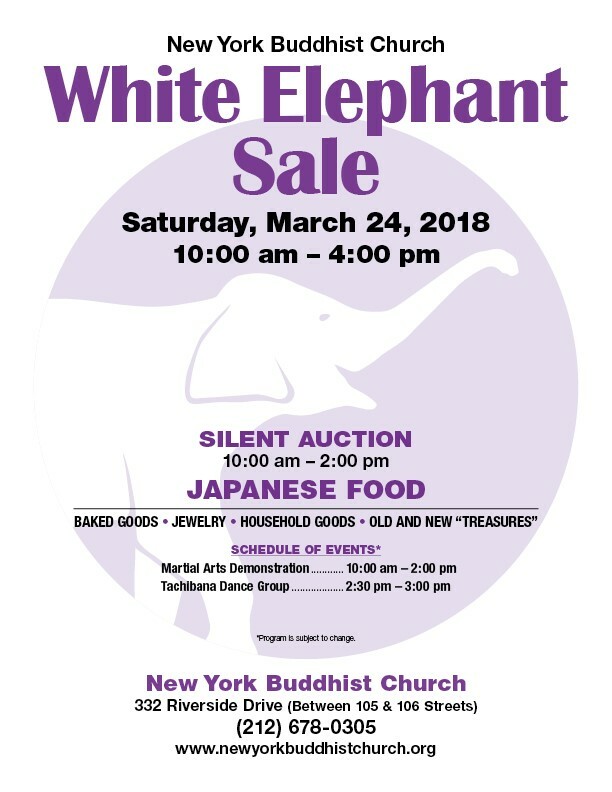 Funds raised from this event will be used to help pay for the restoration of our Onaijin altar furnishings. 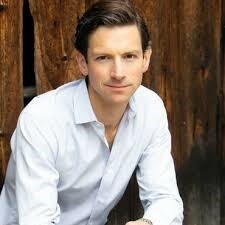 We are deeply appreciative of TIC NYC Restaurant group for their generous support for this event. Hope you can join us! Please join us as we screen this LGBTQ movie from Japan. Knitting to be Healthy is a heartwarming story of acceptance to be who you are. You will laugh, cry, and learn how a little girl accepts and teaches others about the love she learned from her uncle and a transgender woman. Following the film viewing, we will discuss and compare Japanese views towards LGBTQ compared to the American viewpoint. Suggested donation of $5 from ABSC members and $10 for all others. The Kamakura period 1185 to 1333 was considered one of the most historical periods in Japanese history. It was a period of the samurai and the establishment of feudalism in Japan. Minamoto no Yoritomo was the founder and the first shgun. During the Kamakura period six new Buddhist schools were founded; Jodo Shu by Hnen, Jodo Shinshu by Shinran, Rinzai Zen by Eisai, Soto Zen by Dogen, Nichiren by Nichiren, and Ji-Shu by Ippen. Please join us as Rev. Dr. Michael Conway’s talk will focus on Honen and Shinran. For the common man, this was a period of great hardship and suffering. Honen and Shinran introduced a new form of Buddhism that anyone could practice. Rev. 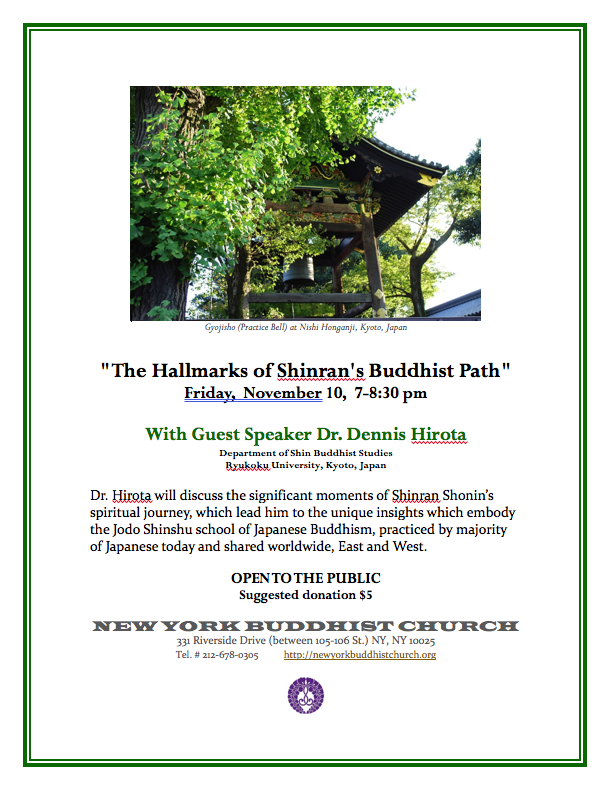 Dr. Conway is currently a lecturer in the Shin Buddhist Studies Department at Otani University in Kyoto. He entered the Master’s program in Shin Buddhist Studies at Otani in 2003. 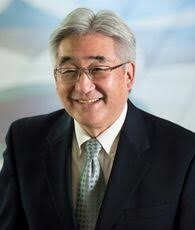 He finished his Ph.D. at Otani in 2011 and became managing editor of The Eastern Buddhist, a journal founded by D. T. Suzuki and others in 1921. He served there until he took up his current post in 2015. 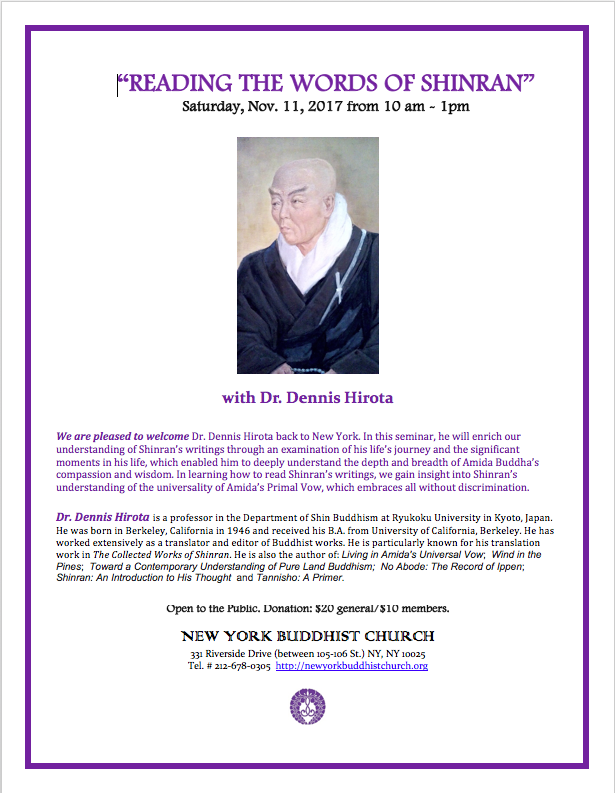 He has spoken about Shin Buddhism in many different venues, particularly temples in Japan and the U.S. affiliated with the Shinsh tani-ha (Higashi Honganji), but also at the Institute of Buddhist Studies Winter Symposium in February 2013, held as a part of the Buddhist Churches of America National Council Meeting. A donation of $5 from ABSC members and $10 for all others. Sunday, February 11th at 11:30 am. Open to the Public, all are welcome! Nehan-e, or Nirvana Day, commemorates the passing away of the historical Buddha, Siddhartha Gautama, under the Sala Tree at Kushinagar in India. It is said he died surrounded by his disciples, and many animals and celestial beings. At NYBC, we also observe this holiday as a memorial for our animal companions. In Nehan-e/Nirvana Day service, we join together to express our gratitude for the life and teachings of the Buddha. On this special occasion, we are pleased to welcome Lama Pema Wangdak of Palden Sakya and Vikramasila Foundation as our guest speaker. Please join us, all are welcome! SUNDAY JANUARY 21 at 11:30 am. Open to the Public, All Are Welcome. Hoonko is a time to express our gratitude to Shinran Shonin, the founder of our Jodo Shinshu (True Pure Land) school. 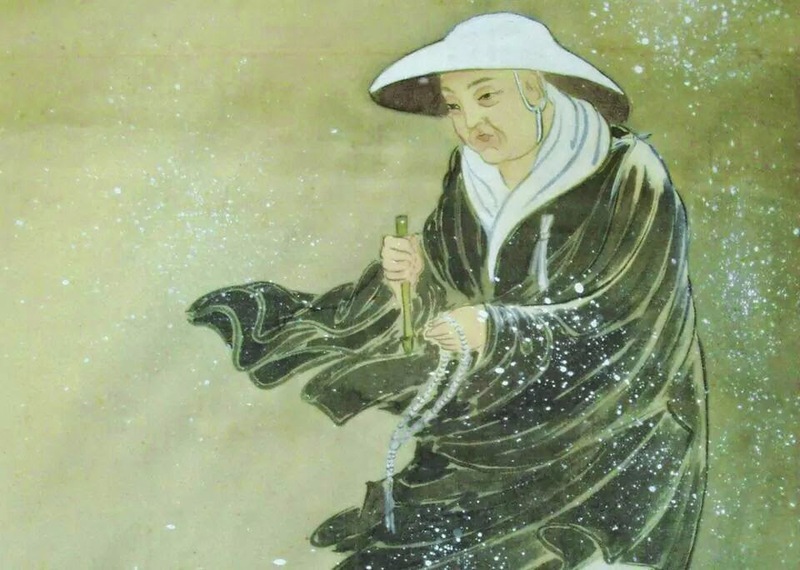 Shinran Shonin lived in the Kamakura Era, Japan; a time of disunity, pestilence and violence. During this period in Japan, to become a Buddhist meant having to leave one’s home and family to enter a monastery. Shinran Shonin, however, lived an ordinary life, and opened the path to Buddhism to all persons regardless of status, gender or literacy. If Shinran Shonin had not clarified the teachings of the Primal Vow, our temple and Sangha would not be in existence today. For this, we praise the virtues of our founder Shinran Shonin, express our sincere appreciation for having encountered his teachings. AKEMASHITE OMEDETOU GOZAIMASU!!! Happy New Year! 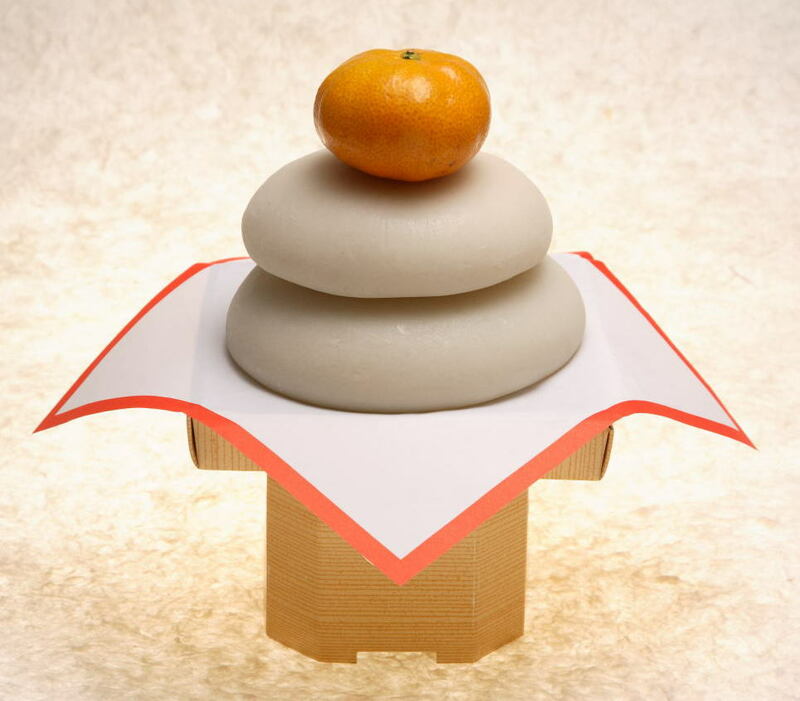 Kagami mochi is a traditional offering of pounded sticky rice cakes topped with a tangerine. 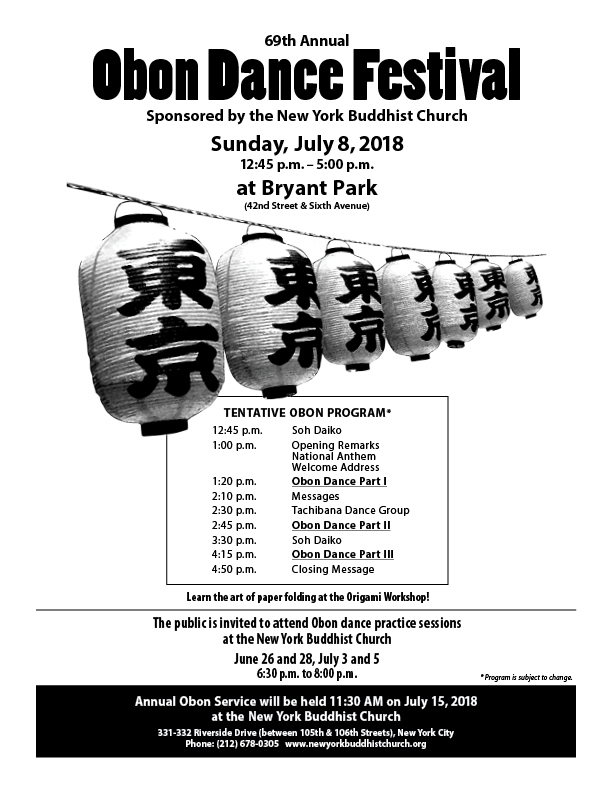 Join the members and friends of the New York Buddhist Church to ring in the New Year! All events are family-friendly and open to the public. Joya-e End-of-Year service will be held on Sunday evening, December 31st at 7 pm. After chanting we will ring the large bell together 108 times! Shusho-e New Years Day service will be held on Monday morning at 11:30 am. Afterwards we will enjoy a pot-luck lunch, brush painting of your New Year's message, hyakunnin-isshin Japanese card game, and more! Please bring your favorite dish to share and enjoy our community gathering. and Nuclear disasters at Wesleyan University and Colorado College.